THE two Strangford-Portaferry passenger ferries MV Strangford and MV Portaferry ll were involved in a minor collision yesterday (23 May) as high winds whipped Strangford Lough. Services were temporarily affected. A Roads Service spokesperson said: “An incident occurred at 12.30pm yesterday involving both the MV Strangford and Portaferry II, as the MV Strangford was being moved from its mooring into the ebbing dock into have routine inspection work carried out. 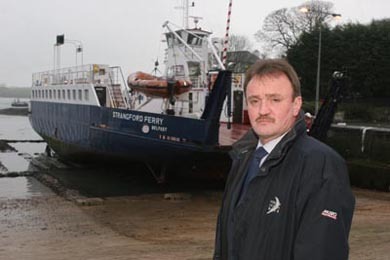 The Portaferry II was at the slip loading passengers, and as the MV Strangford turned to manoeuvre around the Portaferry II, the ramps came into contact. This resulted in minor damage to ramps of both vessels and damage to a hydraulic ram fitting of the Portaferry II. Ards Councillor Joe Boyle has expressed his concern that both ferries were not used during the two busy holiday weekend periods this year so far. Portaferry Councillor Joe Boyle said in response to the incident: “We have two holidays at Easter and May Day so far this year when we only had one ferry on. There were reports of people having to wait over two hours to get across on the ferry at Easter. And now we have another holiday weekend in front of us. 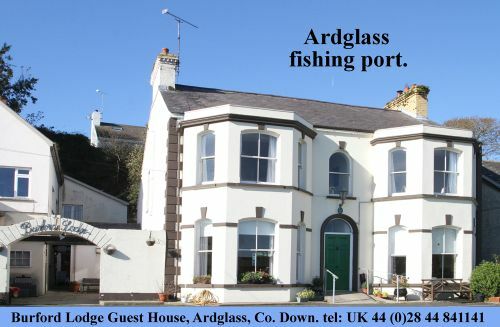 “It is important that tourists and visitors can move within a reasonable length of time across the lough and really both ferries should have been available and operational on these holidays.